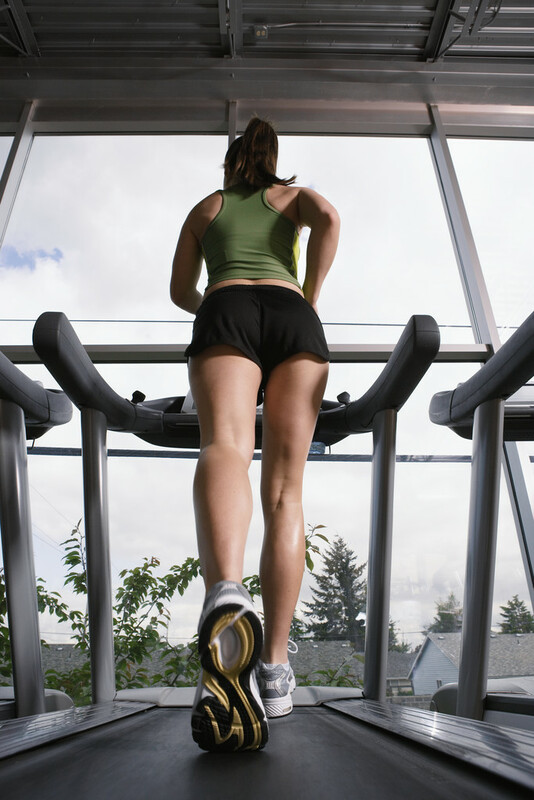 Treadmill workouts are a great way to blast fat and get your cardiovascular system in shape. You may be actively involved in a cardio program which has taken you to the stages of being able to walk or run continuously for more than 30 minutes. 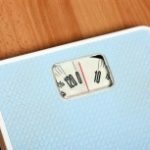 Perhaps you are a beginner and you want to get on the right track to losing weight and burning calories and fat away. Whatever stage of training you find yourself in, you want your hard work to pay off. Running continuously for long durations can be great for endurance and simple meditation, but if you have loftier fitness and weight loss goals, this steady-state type of training needs a boost. Most treadmills, especially the newer ones, have programs built into them. Manual programs allow you to hit “quickstart” and start walking or running. You can set your own speed and duration. Working out on the treadmill with a program like this has it’s benefits, but fitness slumps and plateaus are likely to occur. Research is determining the benefits of alternating higher-intensity cardio with slower-paced segments. This is the direct opposite of steady-state or continual intensity exercise. The research is clear: high-intensity exercise burns more calories than extended steady-state exercise. For this reason, this type of training can be done in a shorter amount of time. It may be shorter, but you will find yourself working harder during that time. This type of training is perfect for days where you don’t have a lot of time. This type of exercise is referred to as high-intensity interval training (HITT), and it can be done on a treadmill. Treadmills contain these built-in programs, and they have different names. Each name is dependent on the brand of treadmill, but it will be something similar to “interval training” or “hill climb”. As always, consult with your physician before beginning an exercise program or increasing the intensity of an already existing program, just to be sure you are healthy enough to do so. Once cleared, talk with a fitness professional or personal trainer about what exactly will be occurring when you set the treadmill to one of these programs. This will take some of the guesswork out of choosing a new, more intense program. 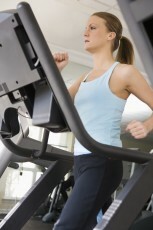 Any kind of interval program on a treadmill will be of tremendous benefit to you and your exercise goals. A HITT program on the treadmill will more than likely follow this type of cadence: the first few minutes will start at a slow speed and a small incline, allowing for proper warmup. As the time increases, the speed will vary for a few minutes at a time. The incline will also continue to slowly raise, ensuring more calories are being burned. Your speed will top out somewhere in the middle of the workout, at which time the incline will also be at it’s highest point (not necessarily the highest point the treadmill will allow, but the highest point your settings will allow). As you engage in this interval training, continue to monitor your Ratings of Perceived Exertion, or RPE. This point is based on a scale from 1-10, where 1 is little to no activity, and 10 is as extreme a workout as you could imagine, such as trying to run as fast as a car. Interval training is awesome, but you don’t want it to take you to a point past your target RPE goal. After some time you may want your RPE to reach 8 or 9 to ensure your maximum effectiveness. You will only be training in this zone for 1 or 2 minutes, so you are safe. These fat-blasting treadmill programs will alternate high-intensity cardio bursts with slower paced bouts to maximize efficiency. If done correctly you can definitely use the treadmill programs to your benefit and watch the fat melt.